Alan Lomax was born in 1915, he began collecting folk music for the Library of Congress with his father at the age of 18. He continued his whole life in the pursuit of recording traditional cultures, believing that all cultures should be recorded and presented to the public. His life’s work, represented by seventy years’ worth of documentation, will now be housed under one roof at the Library, a place for which the Lomax family has always had strong connections and great affection. In March 2004, the American Folklife Center in the Library of Congress acquired the Alan Lomax Collection, which comprises the unparalleled ethnographic documentation collected by the legendary folklorist over a period of sixty years. The acquisition was made possible through a cooperative agreement between the American Folklife Center (AFC) and the Association for Cultural Equity (ACE), and the generosity of an anonymous donor. The Alan Lomax Collection joins the material Alan Lomax collected during the 1930s and early 1940s for the Library’s Archive of American Folk Song, and its acquisition brings the entire seventy years of Alan Lomax’s work together under one roof at the Library of Congress, where it has found a permanent home. From the time he left his position as head of the Archive of American Folk Song at the Library of Congress in 1942 through the end of his long and productive career as an internationally known folklorist, author, radio broadcaster, filmmaker, concert and record producer, and television host, Alan Lomax amassed one of the most important collections of ethnographic material in the world. The collection has been housed in several large rooms at Hunter College in New York City. It includes more than 5,000 hours of sound recordings, 400,000 feet of motion picture film, 2,450 videotapes, 2,000 scholarly books and journals, hundreds of photographic prints and negatives, several databases concerning portions of the archive, and over 120 linear feet of manuscript such as correspondence, fieldnotes, research files, program scripts, indexes, and book and article manuscripts. Included in the collection are sound recordings of traditional singers, instrumentalists, and storytellers made by Lomax during numerous field trips to the American South, the Caribbean, Britain, Scotland, Ireland, Spain, and Italy; original video footage, shot in the South and Southwest, Washington, D.C., and New York City, that was used as the basis of Lomax’s American Patchwork television series, as well as videotapes of all the programs in the series; 16mm footage of performances by Howling Wolf, Son House, and others during the Newport Folk Festival in 1966; videotape of folk dance performances; and work elements and originals of numerous films made by Lomax. Alan Lomax believed that folklore and expressive culture are essential to human continuity and adaptation, and his lifelong goal was to create a public platform for their continued use and enjoyment as well as a scientific framework for their further understanding. His desire to document, preserve, recognize, and foster the distinctive voices of oral tradition led him to establish the Association for Cultural Equity (ACE), based in New York City and now directed by his daughter, Anna Lomax Wood. ACE will continue to produce the Alan Lomax Collection compact-disc series on Rounder Records and to administer rights to repertoire contained in the collection, working from digital copies of original materials that the Library of Congress will be housing. ACE plans to donate CD and DVD copies of hundreds of hours of audio and video recordings to regional libraries in the United States and abroad. Over the next few years, ACE will work closely with the American Folklife Center to create databases for the audio, video, and film collections, to raise funds for preservation and for fellowships, and to make Lomax’s ethnology of performance style available to researchers. The Lomax family has a long history of collaboration with the Library of Congress. Alan’s father, John Avery Lomax, began a ten-year relationship with the Library in June 1933, when he set out with Alan, then eighteen, on their first folksong gathering expedition under the Library’s auspices. Together they visited Texas farms, prisons, and rural communities, recording work songs, reels, ballads, and blues. John Lomax was named “Honorary Consultant and Curator of the Archive of American Folk Song,” which had been created in the Library’s Music Division in 1928. Alan became the Archive’s “Assistant in Charge” in 1937, and he continued to make field trips and supply recordings to the Archive of American Folk Song until 1942. He was the first to record such legendary musicians as Huddie “Leadbelly” Ledbetter, McKinley “Muddy Waters” Morganfield, and David “Honeyboy” Edwards, as well as an enormous number of other significant traditional musicians. He also recorded eight hours of music and spoken recollection with Ferdinand “Jelly Roll” Morton in 1938, and four hours of the same format with Woody Guthrie in 1940. 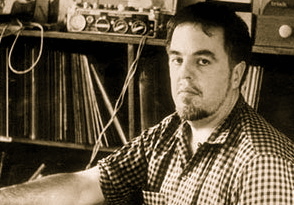 The Association for Cultural Equity administers the rights to the use of materials in the Alan Lomax Collection, and carries on Lomax’s mission through the cataloging and dissemination of materials. In partnership with the American Folklife Center, ACE seeks to ensure that Alan Lomax’s legendary collection remains accessible to general and specialized audiences. “We are delighted that our agreement with ACE makes it possible to combine Alan Lomax’s earliest documentary material, which he collected during his time at the Library of Congress, with the material he collected during the rest of his life, ” said American Folklife Center director Peggy Bulger. “His entire collection will now be in available in one place. The collection is simultaneously a monument to one of the greatest cultural documenters of the twentieth century and a priceless storehouse of traditional artistry.” The collection has served as the basis for many publications, films and videos, commercial recordings, broadcasts, multi-media products (notably Lomax’s “Global Jukebox”), and major research endeavors (such as his Choreometrics, Cantometrics, and Parlametrics projects).